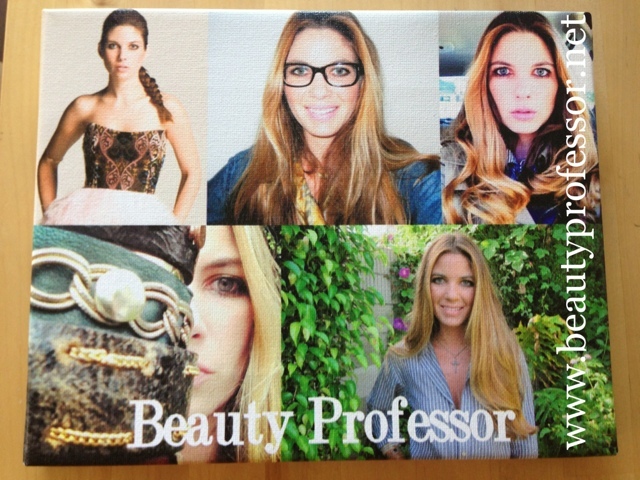 Beauty Professor: Printcopia...Canvas Art for All! I recently discovered a company called Printcopia that specializes in "canvas prints." I am not the slightest bit artistically inclined, so the thought of working with a canvas to create art is quite unrealistic to me. However, Printcopia allows the creator to simply upload photos, resulting in a wonderfully textured wall hanging. This is art that I can actually achieve! In order to construct my own canvas print, I decided to fashion a collage of Beauty Professor images on Picasa (this took me all of four minutes)...then, I uploaded said collage at www.Printcopia.com and selected the 8 by 11 inch canvas option. Above: The canvas print comes on a wooden frame with a wall mount for easy hanging. 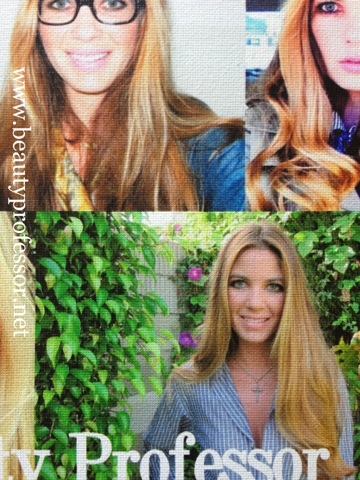 Above: My new canvas print at Beauty Professor headquarters. Above: A close up of my Printcopia canvas print...note the unmistakable canvas texture! Bottom Line: If you are looking for a unique gift, promotional artwork for your blog or business or simply a creative outlet for your artistic ideas, then Printcopia is a fantastic resource. Canvas prints can make an artist of anyone! Thanks, Sandy...they did a really good job with it!